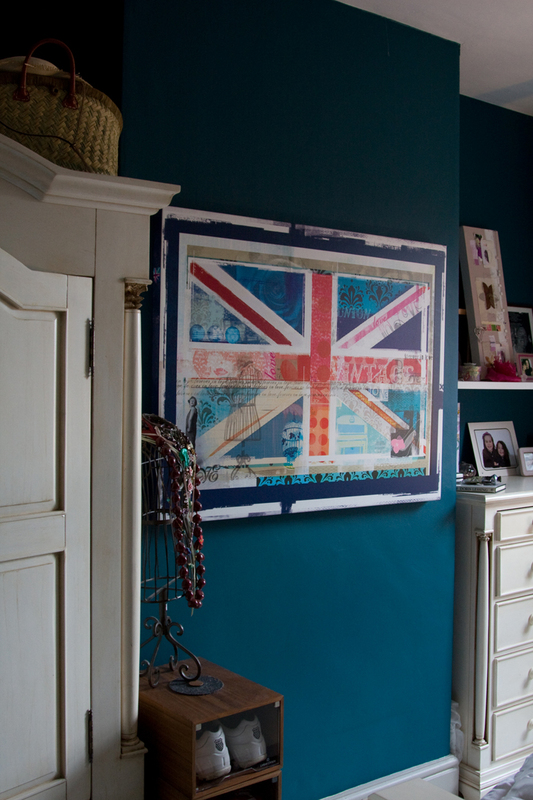 Well finally here it is in situ! The only place we found for it was in our bedroom. At first I thought it was a shame to have it somewhere I wouldn’t get to see it very often, but already it is something that I love looking at before I go to sleep and first thing when I wake up in the morning. It goes beautifully with the blue on the wall and so there it will stay until we have a bigger house when i feel it is something that needs a prime spot above a fire! 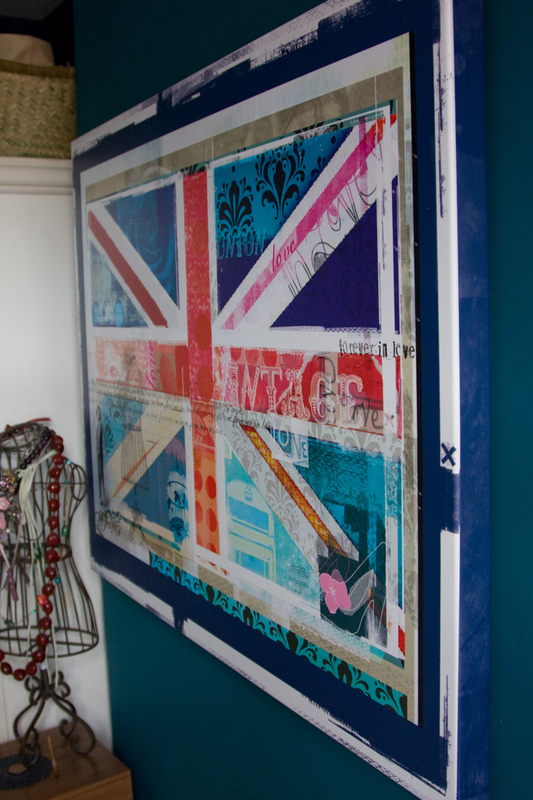 I am selling this size canvas for £400.00. They are 40 x 32 x2 inches in size. From point of purchase to your house = 10 days. 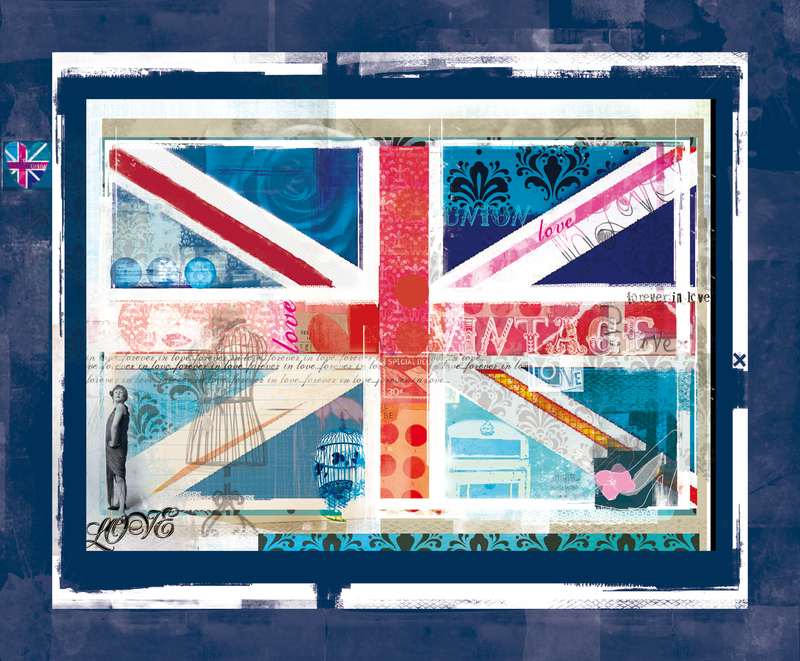 Union Jack has gone to print! rather large floor lamp the other day which seems to take up rather a lot of room. 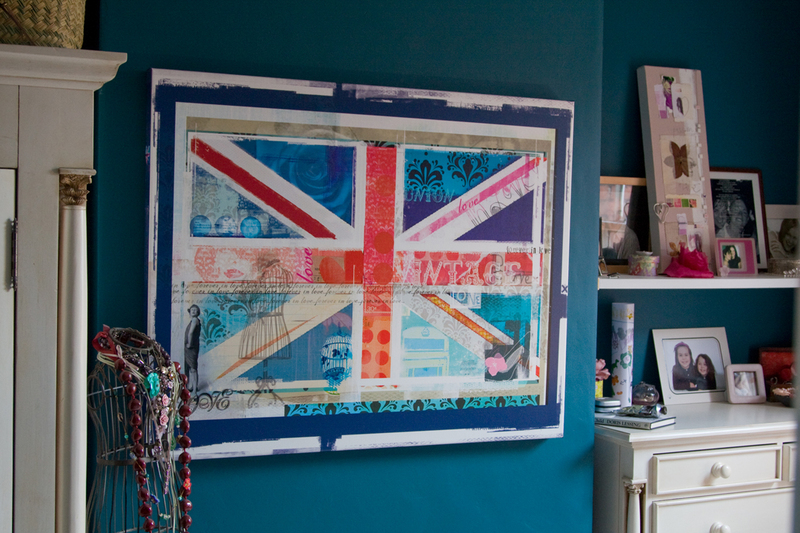 ‘Union Jack’ will soon be on sale on Etsy or available to buy directly from me. I will be getting postcards and tags printed too. A whole range!! 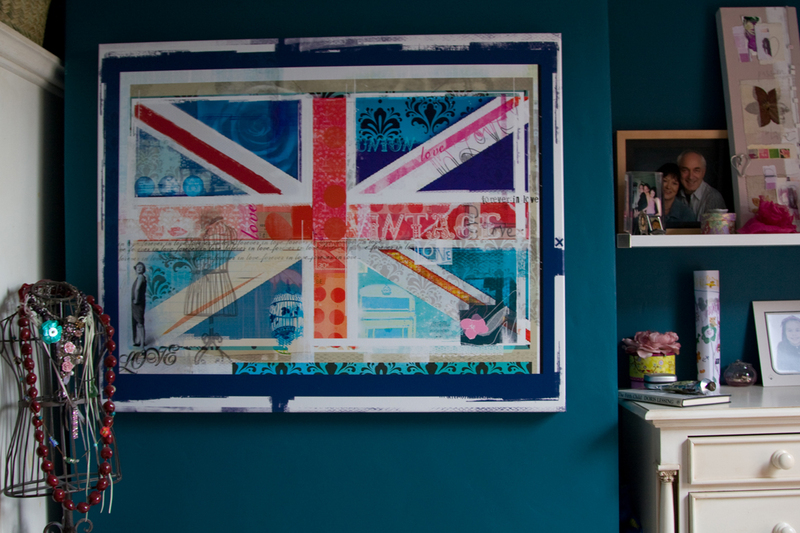 If you’ve noticed there is a huge amount of union jack stuff around at the moment but I haven’t actually seen anything like mine out there yet! Here is the final version. 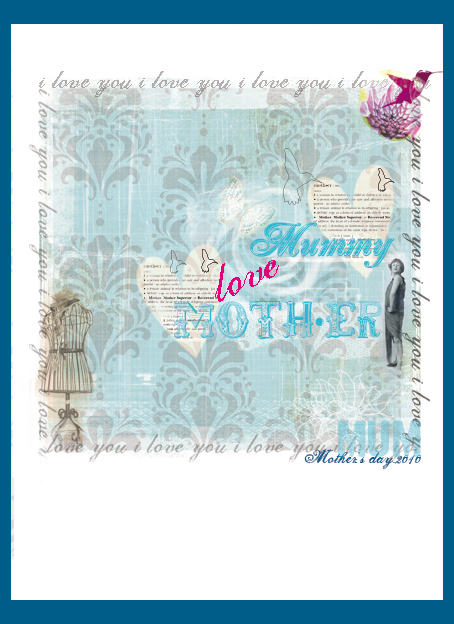 The blue edges will be wrapped around the sides of the box frame and I have managed to sneak Toby’s valentines heart in there too!